If you’re anything like me you’ve probably consumed your body weight in chocolate over the Christmas period. So there is nothing like kick starting the new year by resetting your system. Whether it’s a new year resolution or you just want to detox after Christmas indulgence then I have the perfect plan for feeling great in January. So this month I want to take the time out to really concentrate on me and making peace with my innerself. Makeup does wonders but if you tackle feeling good on the inside it really helps you glow – literally! 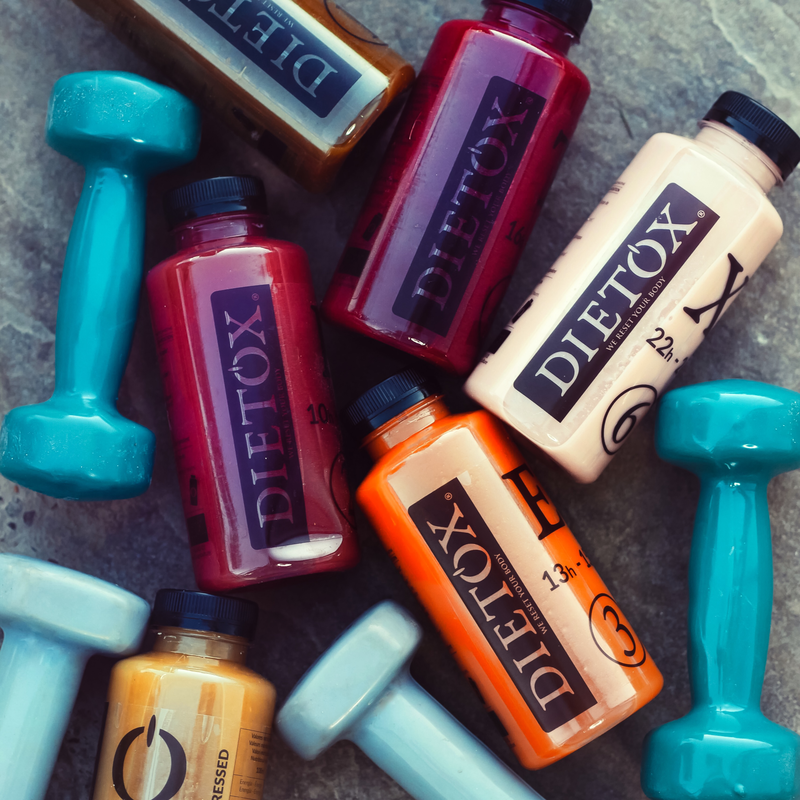 I teamed up with Dietox to start my New Year off with a fresh start. I wanted to cleanse my body of all the excess processed foods I consumed over the past month. 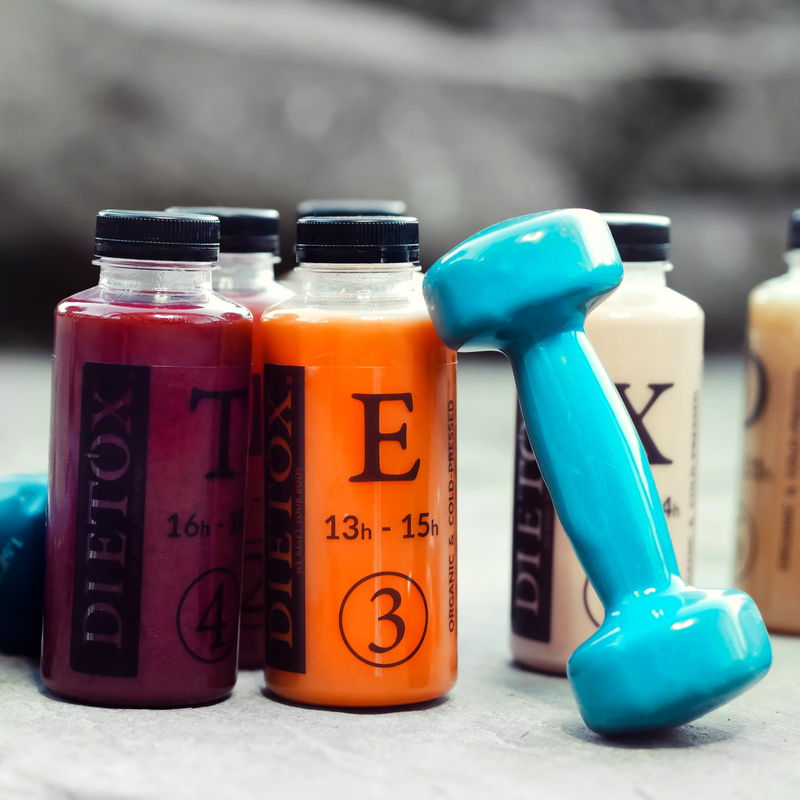 Let me introduce you to the 1 Day Detox Winter Edition which is an organic detox juice therapy. I rose to the challenge and whilst everyone was eating leftover Christmas pudding I reset my body with the six juices and I can honestly say I feel better than I have in a long time. APPLE, SPINACH, CELERY, WATER, PINEAPPLE, LEMON, CUCUMBER, GUARANA, MATCHA GREEN TEA. APPLE, CELERY, WATER, BEETROOT, LEMON, GUARANA, REISHI. APPLE, CARROTS, PUMPKIN, LEMON, AVOCADO, GINGER, PEA PROTEIN, BROWN RICE PROTEIN, ROSEHIP. APPLE, BEETROOT, BANANA, WATER, STRAWBERRY, CUCUMBER, LEMON, PEA PROTEIN, BROWN RICE PROTEIN, ACAI. CASHEW DRINK, BANANA, LIME, AGAVE SYRUP, BEETROOT, MACA. 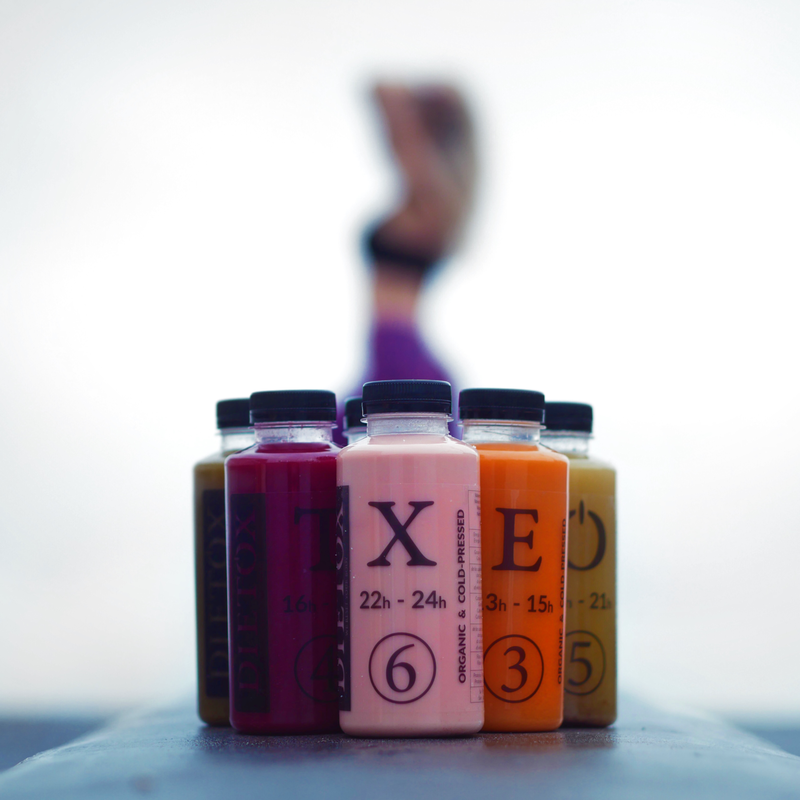 Each juice is formulated by nutritionists and carefully devised to reach all your nutritional requirements. Most importantly they have a high vegetable to fruit ratio which is overlooked by many when making a smoothie or a juice. Top tip – too much sugar from fruit is not always a good thing, try and balance your diet by adding more fibre from vegetables. I used to be a fitness bunny in the gym every day, but this past year life just got hectic and exercise always seemed a low priority. This year, 2017, I decided to get my body back and share with you exactly what I’m doing to achieve this. I became ashamed of my figure that I was once so proud of, I no longer felt confident in a bikini so I decided to make a big change. January is about getting fit for me and putting in place a good routine for the rest of the year so hopefully next time a bikini occasion arises I will feel like a Victoria Secret Model – dreams! What better way to kick start my fitness overhaul than a much needed detox! 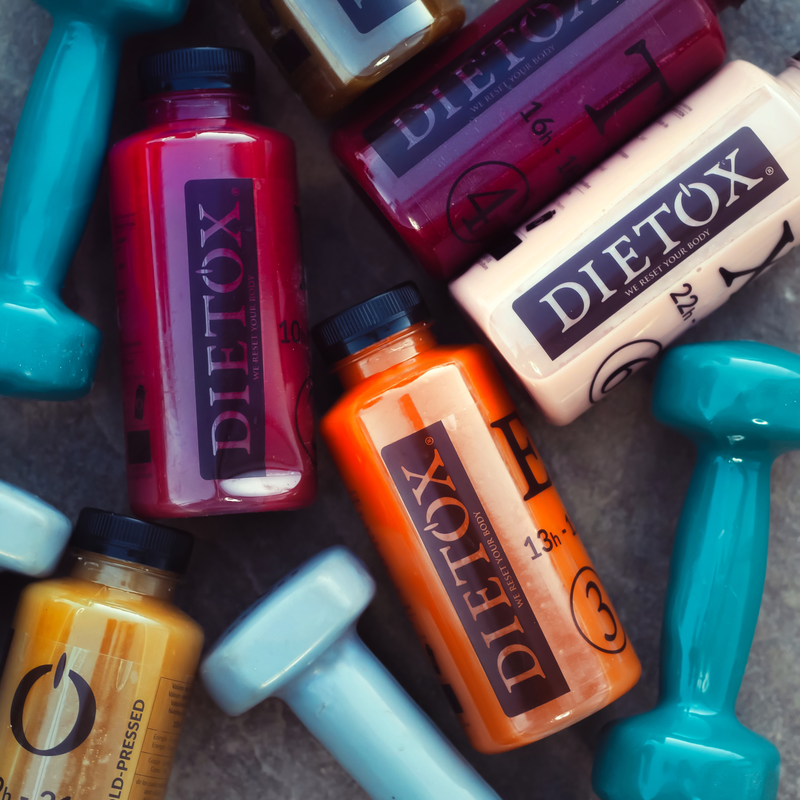 Dietox have loads of different detox plans of varying intensities for you to check out. If you’re feeling sluggish I highly recommend it – by eliminating what our body doesn’t need it helps you function more efficiently reducing tiredness and fatigue. *This post is a collaboration with Dietox but all thoughts, creativity and opinions are my own.